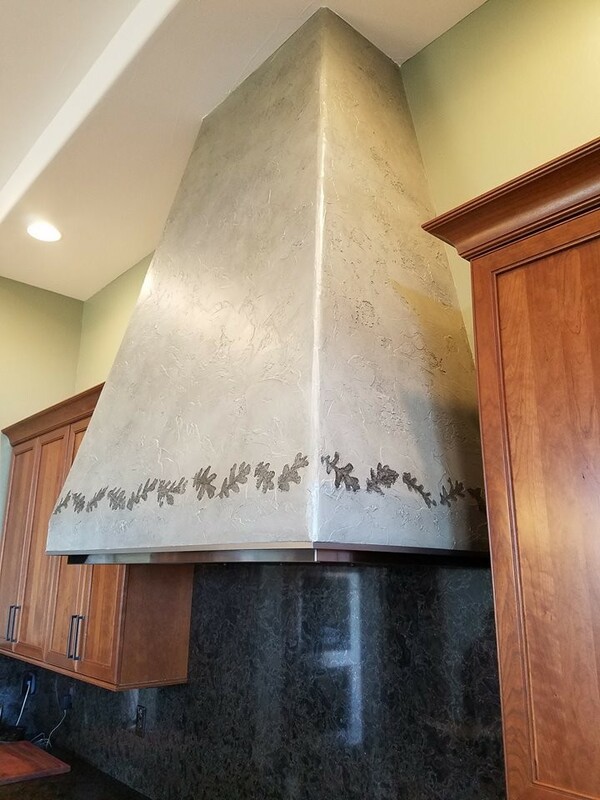 This custom stove hood was made by hand troweling a texture. 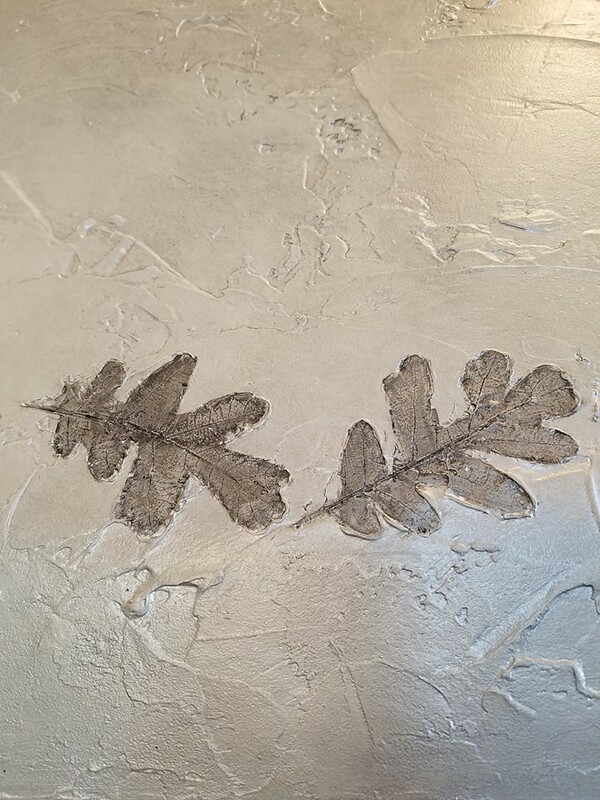 Then oak leaves were embedded into the texture leaving a fossil image. 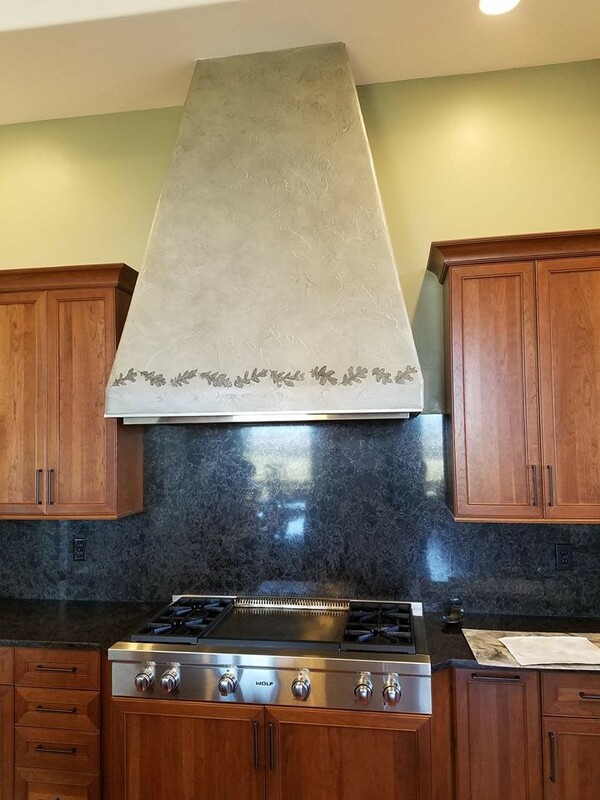 It was done in a layered metallic treatment and the oak leaves were hand-painted in a dark gray metallic glaze.